Constellation Research hopes you all have a great holiday season this year with friends and family. In the spirit of recognizing memorable achievements in the tech industry, we also want to use this occasion to announce the winners of Constellation’s first annual Enterprise Awards. The winners were selected through a combination of internal voting and heated debate among Constellation’s analyst team. Each category also includes a number of runner-up winners, as there were so many deserving of recognition. We hope you enjoy reading the results and welcome your comments–approving, dissenting and otherwise. Why did it win? : Accompany describes its app as a “digital chief of staff” that pulls together a user’s contacts, email, social channels and other data into one place. The concept has been tried before but Accompany stands out for its excellence of execution. Runner-Up Winners: General Electric, Coupa, X.ai. Why did they win? : GE is an enterprise software startup of a different scale, using aggressive acquisitions and partnerships to grow the business fast. Coupa, once labeled a Silicon valley ‘unicorn,’ may have shed that label for good thanks to a wildly successful IPO. Moreover, its spend management software has become a standard in the Fortune 500. X.ai provides an AI-driven personal assistant that hones in on a key pain point: Scheduling meetings. Why did it win? : While known for infrastructure and PaaS (platform as a service) rather than applications, AWS had a breakout year, gaining remarkable endorsements from the world’s biggest enterprise customers and attracting application workloads from SAP, Workday and other top vendors. It also rolled out an array of new analytics and AI services that look to be likely winners. Runner-up winners: Microsoft, Salesforce, Oracle. Why did they win? : Microsoft continued its steady push into cloud apps and infrastructure, innovated in AI, widened its embrace of open source and made the year’s most daring acquisition with the $26.2 billion purchase of LinkedIn. Oracle also made moves in cloud across all three layers of the stack while continuing its laser focus on database innovation, industry verticals and aggressive M&A, capped off by its $9.3 billion acquisition of NetSuite. Salesforce had another high-growth year and is cruising toward its $10 billion in annual revenue goal. While Salesforce lost out to Microsoft in acquiring LinkedIn, it innovated in AI with the launch of Einstein, while the largest-yet Dreamforce event showed customer and partner engagement is at an all-time high. Why did it win? : While far from the world’s largest SI, with about 11,500 employees, Luxoft stands out for its recent focus on pursuing innovation-driven projects. It’s not a company looking for growth by simply trying to squeeze more cash out of legacy SI business models. Why did they win? : Accenture went on an ambitious acquisition tear in 2016, with deals targeting machine learning, CRM, cybersecurity, boutique SaaS consultancies, creative agencies and more. Wipro continued to mature its Holmes AI platform and is using it to automate mundane coding tasks on fixed-price projects–an idea with value for both Wipro and clients. Why did it win? : Redmond’s move to acquire LinkedIn represents a $26.2 billion bet on the value of curated business social network data in conjunction with Microsoft’s enterprise applications and Office. Constellation sees vast potential in this combination if executed correctly. Microsoft has had plenty of dud acquisitions on its track record–such as Nokia–but Constellation is confident this won’t be the case with LinkedIn. Why did they win? : While largely a consolidation play, Dell’s $67 billion merger with EMC will have ramifications for hundreds of thousands of customers around the world. Oracle’s purchase of NetSuite was somewhat controversial given Larry Ellison’s stake in the cloud ERP vendor, but gives Oracle needed scale for its cloud business and an entry point with SMBs. Salesforce’s Demandware buy gives it the commerce cloud that was sorely lacking from its lineup. Why did it win? : This deal, which will see VMWare adopt AWS as its public cloud option, is one with strong benefits for both the vendors involved and the many VMWare-centric enterprises that want to maintain those workloads without having to continually invest in new hardware. VMware shops will also be able to take advantage of the continuous drip of new capabilities that emerges from the AWS machine. Why did they win? : SAP’s partnership with Microsoft is one of the software industry’s most venerable, and its continued success and growth are important for thousands of joint customers. This year the vendors made progress on cloud (HANA, SuccessFactors to Azure), Office 365 integration and many other areas. Amazon, Google, Facebook, IBM and Microsoft came together around the Partnership on AI, an effort that will seek to create best practices and educate the public. While each company stands to gain individually from the effort, the broader public should as well. Why did it win? : TensorFlow is the second generation of Google’s machine learning technology, powering products built by more than 50 teams across the company. In November 2015 Google took the bold step of open-sourcing TensorFlowunder the Apache 2.0 license, a highly permissive license that has helped develop a strong community around TensorFlow during 2016. Why did they win? : This October saw the general availability of Workplace by Facebook, the enterprise social network formerly known as Facebook at Work during its one-year beta program. The application seems off to a very strong start, with more than 1,000 companies using it at launch and more tellingly, with dozens of them having Workplace by Facebook deployments of 10,000 users or more. While enterprise social networks are nothing new, Facebook may have breathed fresh life into the space with a combination of its strong brand and true product innovation. SAP’s Digital Boardroom provides a real-time analytics portal for the C-suite that leverages line-of-business data from SAP enterprise applications. While it’s still early days for the product, Constellation receives a great deal of interest from clients regarding it. Why did he win? : It’s been going on three years since Nadella was named CEO of Microsoft, succeeding Steve Ballmer. Nadella has consistently put his mark on Microsoft’s culture, such as by his embrace of open source, by bringing the worlds of Dynamics and Office closer together, and aggressive investment in Azure, while continuing to foster Redmond’s vast and crucial developer community. Why did they win? : Immelt is presiding over GE during a time of massive digital transformation at the company. GE is a leading voice for industrial Internet and IoT and that should continue for a very long time. McDermott overcame the loss of an eye in 2015 and has successfully continued to navigate SAP’s often choppy political waters as its first American sole CEO, while leading the company through a major platform and business model shift. Under Narayen’s leadership, Adobe has managed to reinvent itself. No more is it just ‘the PDF company’ or a toolmaker for creative workers. 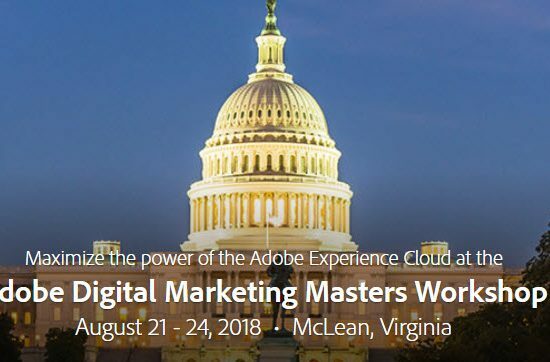 In the past several years, Adobe has shifted to a cloud subscription model while greatly expanding its play in marketing and analytics, a move that ties back to its standby creative products in a natural way. Along with the successes, this year saw quite a few high-profile disasters in the tech industry, so we had to pick winners–er, losers?–here as well. Why did it win? : This one was a pretty simple pick. Samsung conducted a global recall of its Galaxy Note 7 phone after it emerged that some units’ batteries were exploding. In October, Samsung discontinued the device entirely and by one estimate, the recall and resulting fallout cost the company $17 billion. However, while the trouble was limited to Samsung, every company with products that use lithium ion batteries was likely both worried and empathetic about the situation. Hackers managed to hijack thousands of consumer IoT devices in October to run a massive DDoS (distributed denial of service) attack on Dyn, a company that provides Internet infrastructure services to some of the world’s most popular websites. It later emerged that the attack was executed with a botnet called Mirai, which ended up being released as open source code. Overall, this was the sort of mess that has every sign of happening again in 2017 as broad IoT security best practices remain a distant dream. Embattled Yahoo thought it had found a buyer in Verizon in July, but recent disclosures that some 1.5 billion users had been hacked in two separate attacks are threatening to spike the deal altogether at this writing. Finally, Microsoft’s self-learning chatbot Tay ended up getting the wrong kind of lessons from Twitter users after it was plugged into the service in March. Twitter users quickly figured out how to train Tay to spout all manner of profane, insulting and racist remarks. Microsoft ended up pulling Tay off the Internet but recently unveiled a new one named Zo. Agree with these picks? Disagree? Send me a note at [email protected] and your responses will be included in a follow-up post. Uber Forced To Pull Out Self-Driving Cars From San Francisco Roads: What Did The California DMV Do?